It is 4pm ... and you need to be in Paris by tea-time! Your helicopter pad is ready and waiting, and you have clearance from Air Traffic Control to take off. All you need is a helicopter! 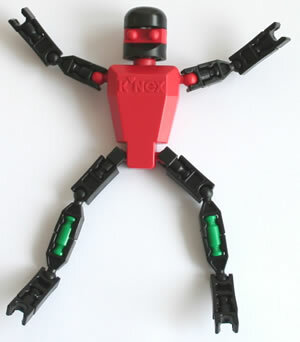 Equipment: KNEX set, plus a K'NEX spring motor for level 3. Approach: What shape is a helicopter? 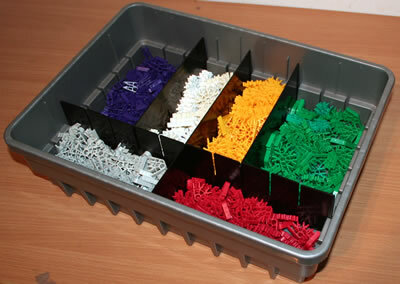 How can you make the different parts in your KNEX model? 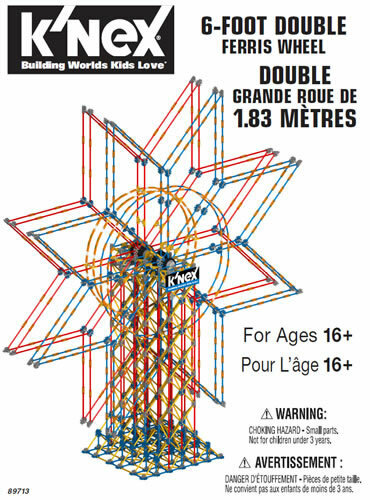 How big will the model be? For level 2, how can you make a large and a small rotor blade? How can you fasten them both onto your model so that they spin freely? For level 3, how will you attach the spring motor to your model? How will the motor make the blades spin? 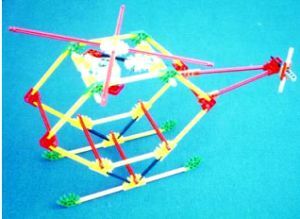 A project to make a working model of a real-life object, and to use the model as a base for experimentation. Before starting: Look at a photo or video of a helicopter. Conclusion: Firstly, draw a diagram and write a description of how the force applied during the winding-up process is transferred to the spring and stored there, and how on release the forces are transferred to make the rotor blade turn. Then, carry out an experiment to establish if there is a relationship between the number of turns you make when you wind up the motor, and the number of turns that occur when you let go. Record the results as a table and a graph.